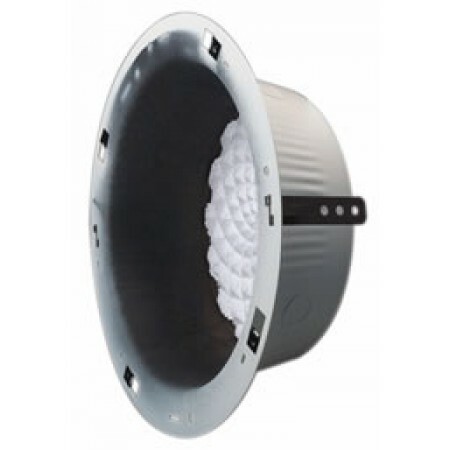 The RE84 Ceiling Speaker Enclosure from Bogen is a protective enclosure for an 8" speaker, designed for recessed installations, and for use with any of the Bogen ceiling grilles. One-piece steel construction includes a mounting ring and a foam insert to reduce metallic resonance. The RE84 ceiling speaker enclosure is finished in rust-resistant primer and is tapered for easy stacking. UL approved.